For any successful business to run smoothly, having a functional website is usually an essential. Catering services, for example, should put up an engaging website to be more accessible to their clients. 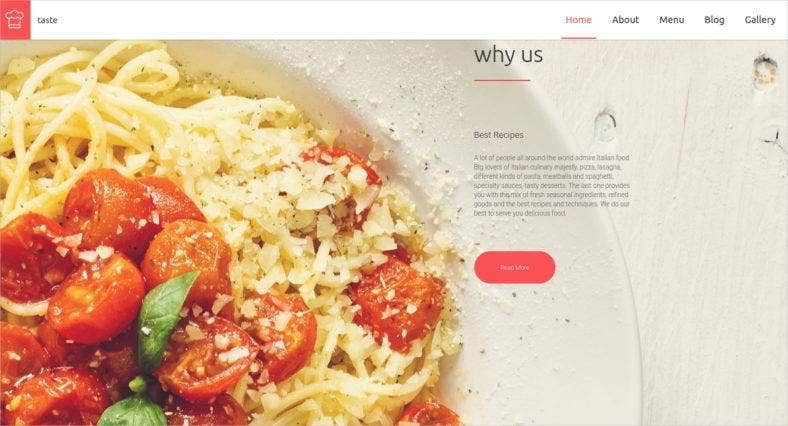 With so much on their plates, a good website design should shoulder some of the nitty-gritty aspects that come with having a catering business. 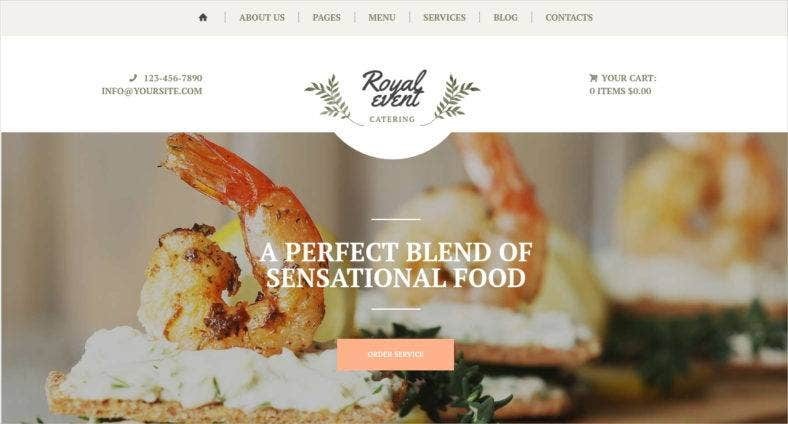 With the latest WordPress templates up for grabs, make your catering website more substantial and stylish; with professional and elegant layouts for your Services page, Lead Capture, and Gallery sections. With this Delicious Catering WordPress theme, make your catering service absolutely savory with clean image sliders, easy navigation, and beautiful galleries. You can create an interactive and trustworthy space for your clients with a Client Review page and Recipes section to keep them engaged. Indulge your clients in a modern and clean design with this theme. It’s the go-to theme for amazing flat graphics and recipe sharing. With user-friendly layout options and WooCommerce compatibility, give your clients an added benefit of a great shopping experience. 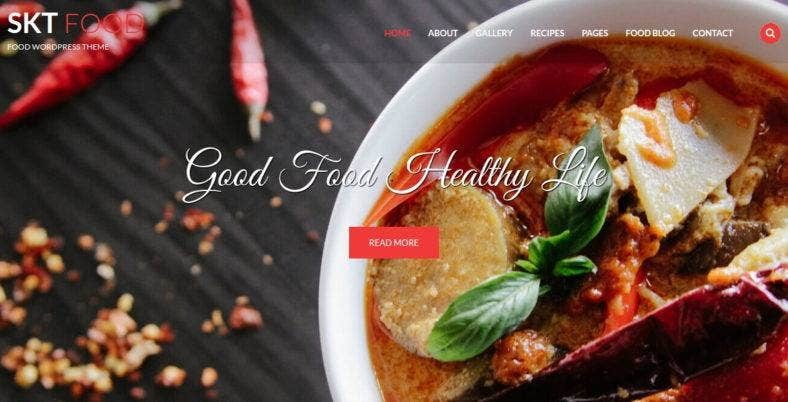 Make your Catering website aesthetically pleasing with this fully responsive website template packed with a Parallax and Lazy Load effects. Your images will be even more delightful with fantastic sliders and a filterable portfolio, as offered by this WordPress theme. 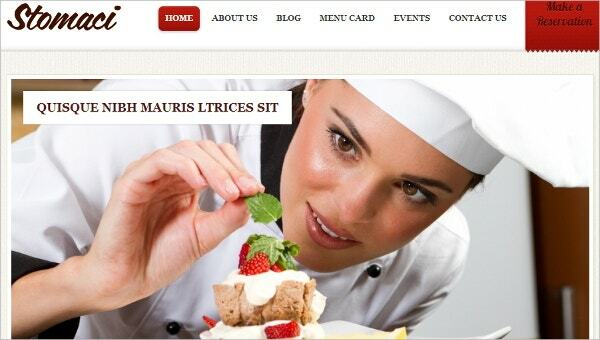 Keep it simple and professional with the latest WordPress Catering Services theme. You’ll have modern Homepage options and color variations to choose from with a Drag and Drop page builder to make the whole process easier for you. It’s also equipped with well-organized codes and professional support. Bank on visuals and give this theme a try for your catering and restaurant websites templates. It’s very adaptable and responsive to any mobile device, and has a WooCommerce plug-in if you’re offering products and services to your clients. This theme is also optimized for search engines to have your website sailing across screens and get the exposure it needs. 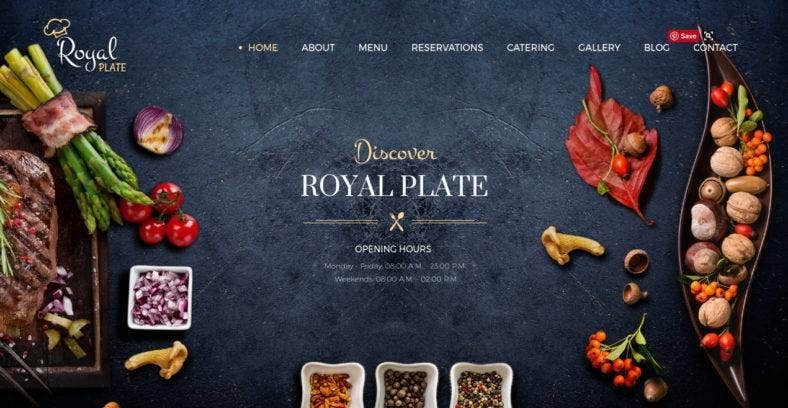 Bask in exquisite and classical designs with this restaurant website theme. Customers can now get a taste of your restaurant through your website on their phones or computer screens; with beautiful layouts, menu designs and specials, and a full-width gallery. All these with a classy color palette and a distinct typography. This WordPress theme is specifically designed for catering services that have multiple offers and promos. Get this theme to have a special Services Overview section, amazing Homepage sliders, and an in-built Lead Capture for clients to easily acquire their desired service. Classy and functional. This Event Catering website theme looks lively and festive as it suits all kinds of joyful events and celebrations like weddings, birthdays, engagement parties, and more. With powerful shortcodes and widgets, use this theme easily navigate your site and have people acquiring your service comfortably in any device. Produce a sharp and minimalist website design with this tasteful catering theme. Client and owner-friendly, this theme has an amazing mega menu layout for easy navigation. It’s built-in Drag and Drop web builder, Parallax Effect, and 100% responsiveness makes for a satisfying online experience. 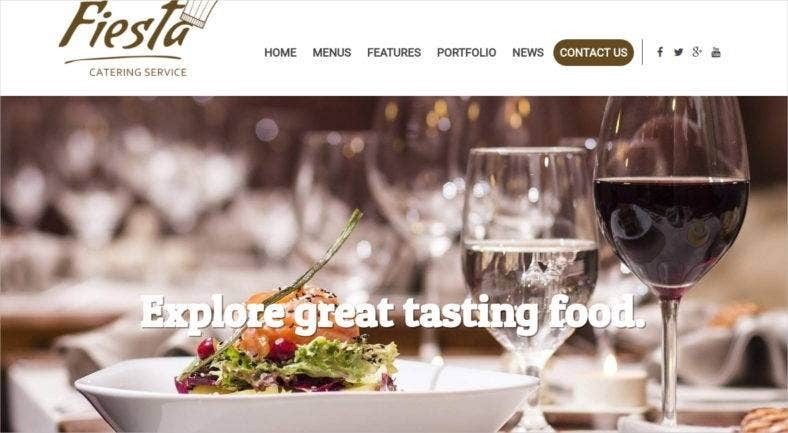 If you’re looking for elegant catering and cafe website templates, then this is just the right pick for you. Dress up your website in urban sophistication with high customization for pre-built pages, color swatches, and awesome Google fonts. This theme is also supported by a Multi-lingual app to reach cross-country clients and customers. Make your catering service as captivating and delightful as ever with a fully functional and high quality website. 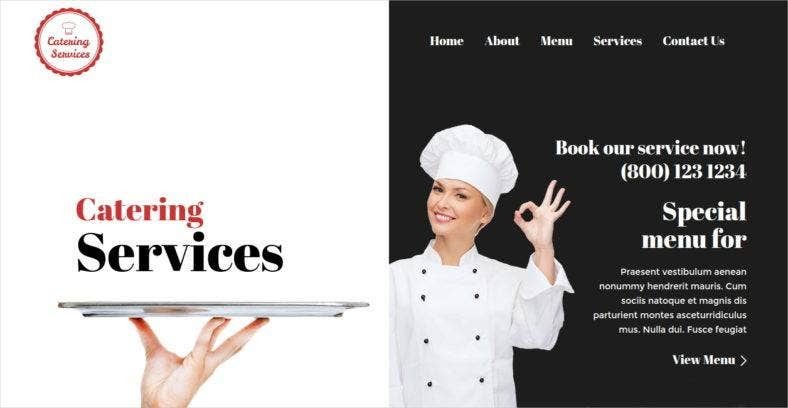 Our list of WordPress catering service websites are equipped with some of the best and exclusive features to make sure your site contains a certain level of professionalism and unique style, while giving you a guaranteed excellent performance. Install your pick and easily customize it to bring out your unique flavor.